It seems the wait is over. If you’ve been eyeing one of those HD-recording Vivaz incarnations with a full QWERTY keyboard on their backs, you’re welcome to go and get one. The Vivaz Pro is now shipping all over the place with “large volumes” already saturating the market. 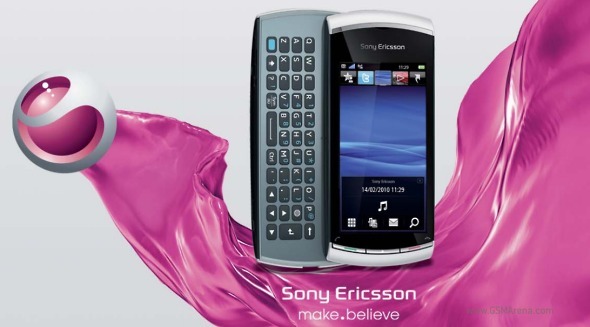 We can’t give you regional schedules but as the official Sony Ericsson blog puts it, it shouldn’t be long before you see Vivaz Pro in your local retailer/carrier shop. As you probably already know, the Vivaz Pro is almost identical specs and design-wise to the original Sony Ericsson Vivaz except for the 8 megapixel camera, of course. Symbian S60 5th edition takes care of the software side of things on the 3.2-inch touchscreen, while the 5 megapixel camera with 720p HD video recording, Wi-Fi, and GPS deliver on the equipment front.